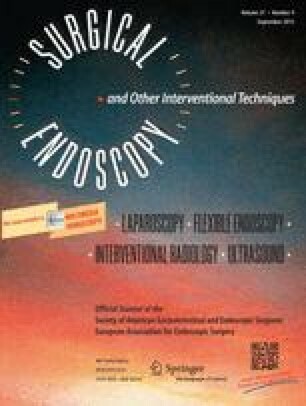 This is a report on 126 prospectively registered and controlled complications in 29,695 consecutive endoscopic procedures of the lower gastrointestinal tract. The overall complication rate is 0.4%. All endoscopic procedures were performed in our institution; no referrals “from other hospitals” are included. The therapy and prognosis of occurring complications are described. Especially after therapeutic endoscopy—above all, after polypectomy—the complication rate of 0.83% is not negligible. A serious aspect is the average interval of 30 h from endoscopically caused complication to the onset of symptoms. Bleeding could be managed conservatively in 76% of cases. Nevertheless perforation and transmural burn injuries required surgical intervention in 78% of cases. The authors conclude that in the case of transmural burn an attempt at “active conservative treatment” is justified if the patient is under close surgical control, if the symptoms improve, and if there is a possibility of immediate surgery.